Austin Voth allowed no runs on one hit over five innings in the Nationals' 6-0 win over the Mets on Saturday. He struck out five and walked two. Voth allowed seven earned runs in his first start against the Mets, a spot start back in July. He got his revenge today by blanking them for his first career victory. 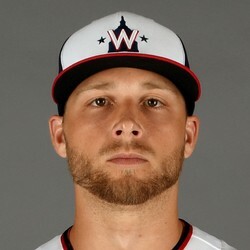 Voth may stick around in the Nationals rotation for one more start, but that start would come in their Coors Field series during the final weekend of the season.